-Preheat oven to 375. 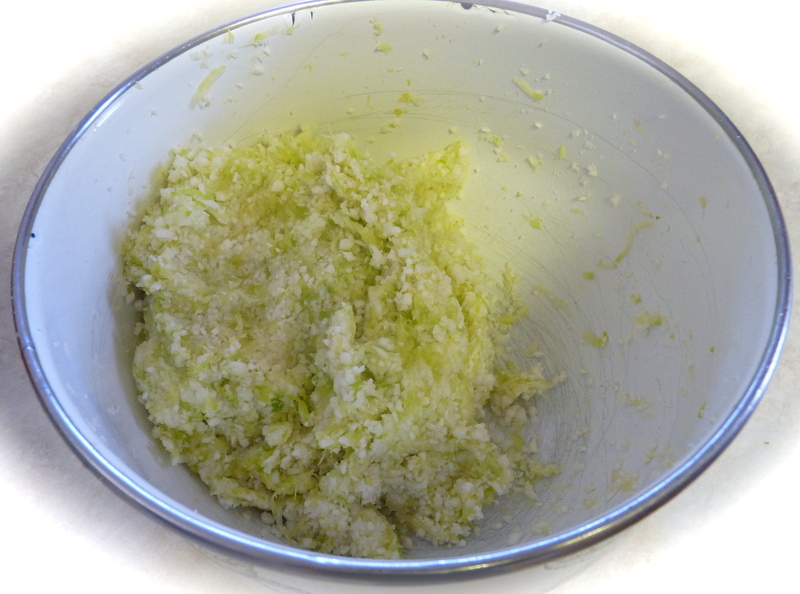 Combine grated zucchini and riced cauliflower and squeeze out as much water as possible. I usually do this by either putting the mixture in a mesh colander and pressing down on it with paper towels OR putting the mixture in a white flour sack towel and wringing out the extra water. You should end up with a mixture looking like the first picture. -Next, add the remainder of the ingredients until combined. Line a baking sheet with parchment paper and lightly grease with olive oil. Spoon mixture onto pan and flatten into desired shape. You should end up with something looking like the second picture. -Third, bake for 15 minutes until slightly browned and firm. 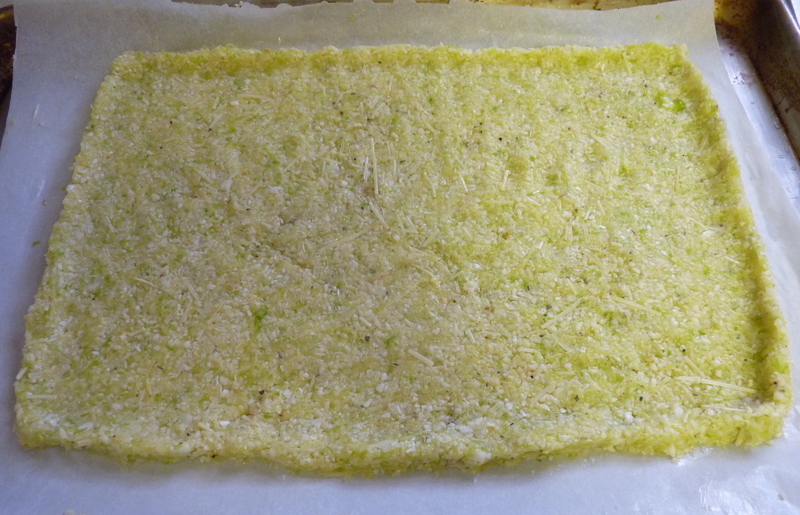 Place another sheet of parchment paper on your counter and flip the crust onto it. Transfer that parchment paper to the pan and bake on the other side for 10-15 minutes more. The third picture is what the crust looks like once flipped. -Lastly, take out of oven and add your favorite sauce, cheese, and toppings. I used Rao’s brand pizza sauce (it’s one of the very few without added sugar or weird oil), whole milk mozzarella, chopped orange pepper, fresh spinach and sautéed mushrooms. Bake until cheese is melted and toppings are set! -Preheat oven to 350. Combine all ingredients (don’t worry–it will look a little runny). Line a baking sheet with parchment paper and grease with olive oil. Spoon mixture onto pan into desired shape. Bake for 10-15 minutes. 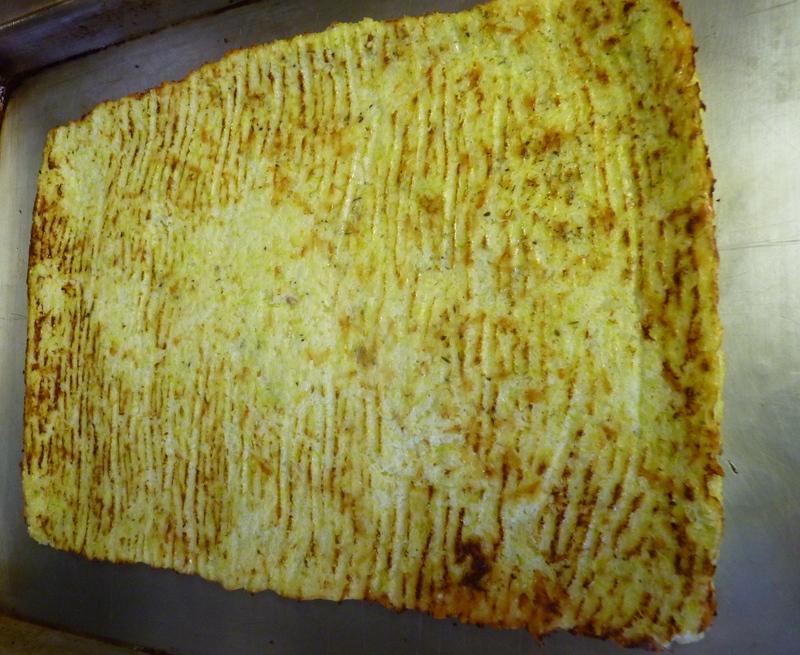 -Place another sheet of parchment paper on your counter and flip the crust onto it. 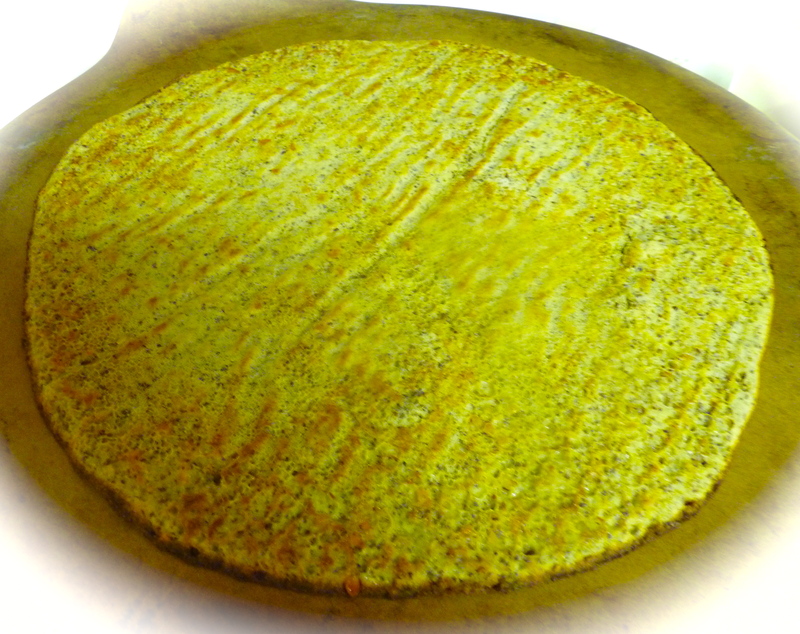 Transfer that parchment paper to the pan and bake on the other side for 10-15 minutes more. -Top with your favorite sauce, cheese and toppings and bake until set. My kids love nitrate-free deli ham and pineapple! Or, traditional round with sauce and cheese! I prefer the veggie based crusts because quite frankly, they are not as calorically dense and I can “enjoy” more slices. My kids and husband prefer the coconut flour for it’s more neutral flavor. I have been working on the perfect eggplant crust. It seems to turn out well about half the time. You’ll be the first to know when it’s post-able! *If you have any questions regarding the recipe prep please contact us! The veggie crusts can be time-consuming but worth is for special nights, while the coconut flour whips up quite easily and quickly. Whatever you do, don’t skimp on the parchment paper…it is your best friend in both recipes! ← I Have Good News and I Have Bad News. Thank you to Suzanne for motivating me to get these recipes up today! I hope you and your family enjoy them! 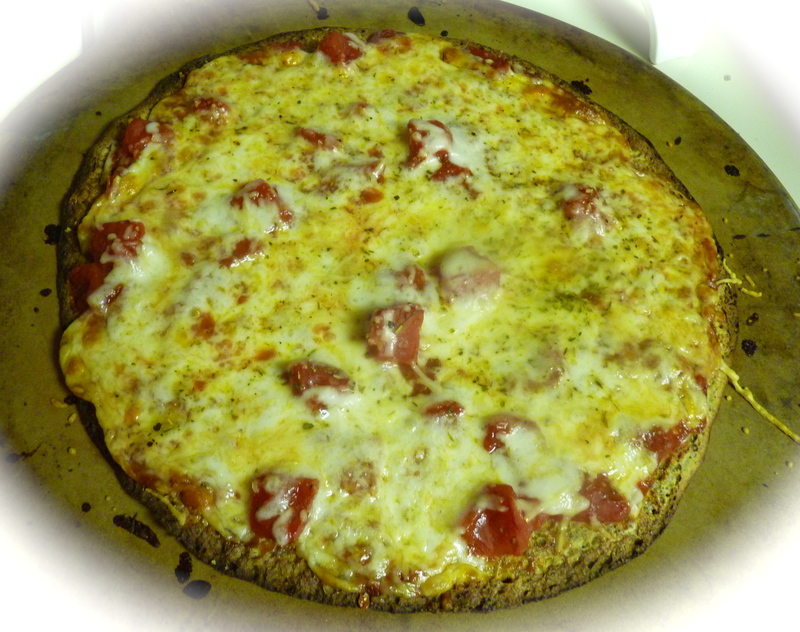 ok… now I want pizza 😉 paleo style!!!! 🙂 I’m definately going to try these! Awesome, Amanda! Let us know how they turn out! I made the coconut flour version (substituted chia seeds with water for the eggs to make it vegan) & it turned out great! 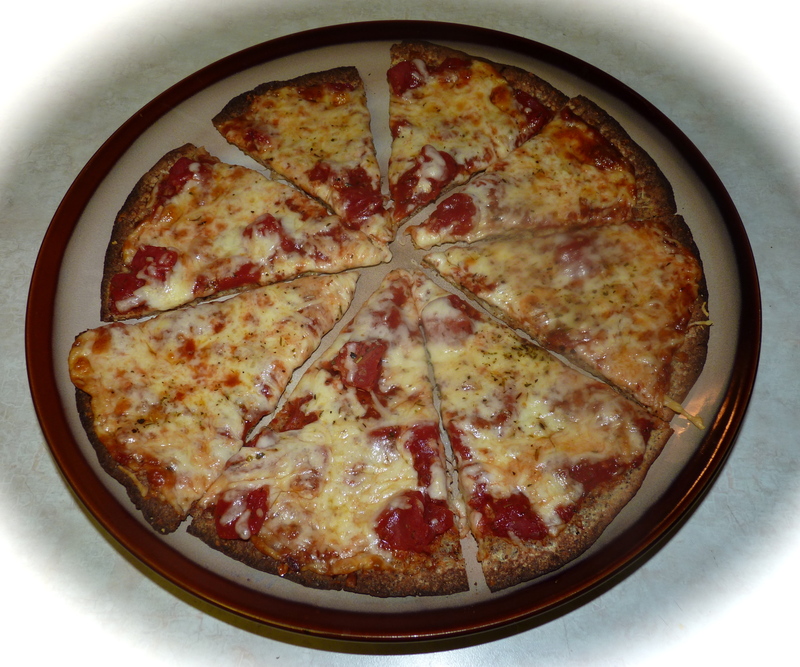 I even shared your recipe with the owner of Pizza Cafe who is seriously considering providing a GF crust option. That is great, Charina! The coconut flour version is so easy to whip up, it’s our favorite! Thanks for the option to make it vegan for our other vegan readers! !